Answers to questions from Diaspora rabbis. The questions give expression to the unique situation that Jewish communities around the world are presently undergoing. The answers deal with a developing modern world in the way of “deracheha, darchei noam”. 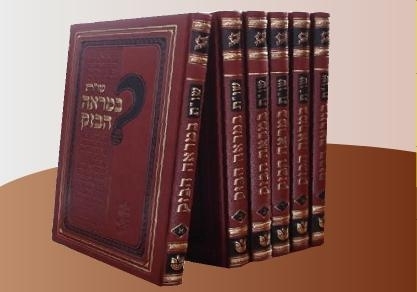 The books deal with the four sections of the Shulchan Aruch, while aiming to also take into consideration the “fifth section” which makes the Torah a "Torah of life".